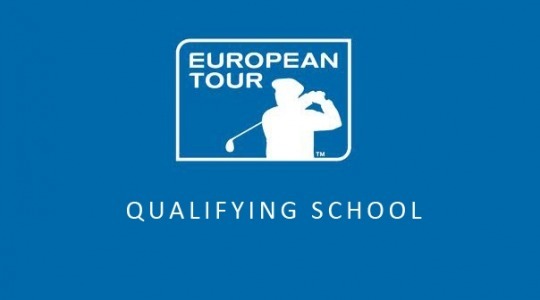 How Did The 2014 European Tour Q-School Graduates Get On ? On 20th November 2014 27 players from 12 different countries were celebrating having secured their full 2015 European Tour cards. Two players, Tom Murray and Daniel Woltman, had even managed to come through all three stages of the gruelling Q-School process. Of the 27 graduates, six were existing 2014 European Tour members whilst 11 would be rookies (R) in the 2015 season. One of the latter group was Italy’s Renato Paratore, who at 17 years and 341 days, was the third youngest qualifier in the history of the event and the youngest since 1982. With the UBS Hong Kong Open and the 2015 regular season now completed I thought I would have a closer look at how they have all got on. The minimum goal for every European Tour player has to be retaining their card for the following season. That means finishing in the Top 110 in the Race To Dubai (R2D) Rankings. England’s Ben Evans finished in 110th spot with points / prize money of €250,211. In other words the bar is quite high. I have listed each of the 27 players below and shown their finishing position in the Final Qualifying Stage last year in brackets. I have graded each of them on their achievements and regular season R2D Rankings. Prior to the four Final Series tournaments, the first of which starts in Turkey this week, the points equate directly to Euro-denominated prize money. Wins in Malaysia and India in February meant Anirban got the job done early. His T5 at the US PGA Championship and subsequent President’s Cup appearance have put him on the world map. No rookie has earned this amount of money in the history of the Tour before and the season still has a few weeks to run. Recently turned 21 Matt has the golfing world at his feet. His win at the British Masters was great for the event and British golf. When coupled with his 7 other Top 10s this season he will no doubt give Anirban a run for the Sir Henry Cotton Rookie of The Year award as the Final Series unfolds in the coming weeks. Two weeks in September largely glossed over an average season for Rikard. He won the Italian Open then finished T5 at the Porsche European Open in Germany. Another player who pulled out a couple of great results in the final weeks of the season. Eduardo finished T2 at The KLM Open and T3 at the Portugal Masters a couple of weeks ago. Pelle retained his card with three strong performances this season; 4th at the Omega European Masters, 2nd at the D+D REAL Czech Masters and finally a 3rd at the Porsche European Masters. Andrew won the True Thailand Classic back in February to get the job done early. A steady start to the year with lots of cuts made but in the second half of the season the young Italian become more inconsistent, albeit with some better finishes. A great achievement for an 18 year old to retain his card so well worthy of a B grade. A T3 at the Hero Indian Open, a T3 at the Italian Open and an impressive and nicely timed T4 at the Alfred Dunhill Links Championship were more than good enough for the young Swede. The winner of last year’s Q-School comfortably retained his card with a steady if unspectacular season which saw him pick up a modest cheque at most of the events he entered. John picked up a number of top 20 finishes and cheques, often at lower profile events, to retain his card. A 2nd place in the Africa Open back in March set up Matt’s season but it still took a brave T7 in Hong Kong last week for him to get the job done. An exceptional 3rd place at the BMW International Open in late June provided the foundation for Chris’s successful year. Focussed on the Challenge Tour (playing 17 events) and last week won The Foshan Open in China. This moved him up to 3rd on the Road To Oman Rankings (with €135,432) and, with the top 15 qualifying, effectively secured his 2015 European Tour card before next week’s finale. Achieved the goal but in a roundabout way – therefore worthy of a C grade. A solid finish to the year and a brave T3 at the UBS Hong Kong Open were sadly not enough for Jason to recover a slow start. Without a win you simply can’t start playing in July. Adrian made 16 cuts but couldn’t quite deliver the high end result(s) that gets you over the line. Lots to build on though. A T5 at the Omega European Masters and a T7 at the Hero Indian Open were the highlights over a disappointing year for the 36th year old Englishman. Like countryman Otaegui, Pedro made 16 cuts but with a best cheque of €34,042 for a T31 finish at the Aberdeen Asset Management Scottish Open just couldn’t make sufficient money to retain his card. Another player who learned the lesson that consistency doesn’t always work on the European Tour. 13 cuts but few top 20s left Lasse well short. 11 cuts but few high finishes, save for a good early season start in Africa, saw Alessandro struggle to break through in 2015. The 46 year old 4-time European tour winner from the Argentine is now sadly well past his best. Well off the pace in 2015 with Paul’s only notable performance coming in The South African Open in January (T5). Top 10s at the Nordea Masters and Madeira Open showed promise. His recent Challenge Tour win at the Volopa Irish Challenge in Northern Ireland means Tom, ranked 26th (€56,040), will go into the NBO Golf Classic Grand Final next week with all to play for and the possibility of avoiding a return to Q-School. Andrea made 8 cuts but struggled to feature in the latter stages of any of these tournaments. 7 cuts made but only one in a first tier event; a T41 finish at the French Open is all Chris can take out of the season. A T33 at the French Open was the highlight of Daniel’s year. Cyril made 6 cuts but was unable to produce any finishes of note. U – made little impact on the main Tour and ultimately failed to play sufficient events. Another injury plagued season for Espen damaged his playing time. He will have a medical exemption for the 2016 season. Another year where the harsh realities of the European Tour are clearly shown by a review of the results of the Q-School graduates. Just 12 of the 27 players retained their card through their play on the Main Tour with Borja Virto also achieving it via the Challenge Tour. Once again the vast majority of the successful players relied on no more than a handful of strong weeks. The competition is so strong that only the really good golfers can hope to consistently deliver Top 20s. Having looked at all of the results it makes me admire Matt Fitzpatrick’s season all the more, and even he has had a number of missed cuts. Who would be a professional golfer – the game’s hard enough without all this pressure ? ~ The R2D Rankings used are the final regular season ones dated 25th October 2015. They exclude Brooks Koepka who withdrew from the European Tour / R2D earlier this week.